Streetstyle Basics. Get inspired by this beautiful maxi cardigan in beige color. 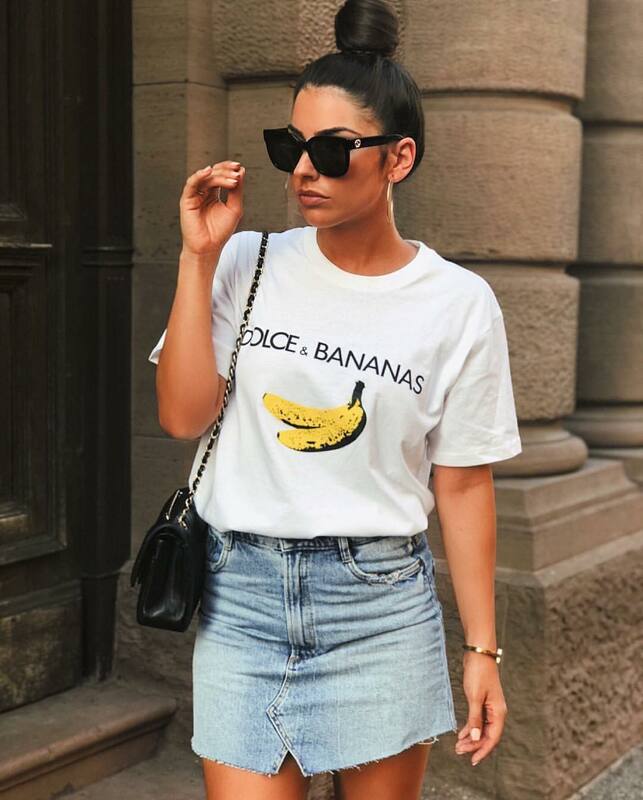 Layer it over basic T-shirt tucked in wash denim skirt. A perfect outfit idea for Summer weekends. Another cool Summer look for your street walks around town. We see a young woman wearing white tee tucked in wash blue denim skirt. Complete this combo by adding classic shades and geometric shaped handbag. If you do like fresh and ladylike outfits, then you should give a try to this beautiful Summer look consisting of a strapless black blouse in white polka dots tucked in frayed denim skirt. The combo is completed with tortoise cat-eye sunglasses and matte silver clutch bag. If you are looking for a simple day look for Summer, then try this white silken blouse with a blue denim skirt. It’s a lovely combination for ladies who want to keep things simple and light. Love this belt. Would you dare to wear these black cat-eye sunglasses?